OH! THOSE BOOKISH NEW YEAR PROMISES! Some of the book bloggers I follow are rashly committing themselves to public promises and revealing their personal reading plans and promises. Reaching a target of 100 books during the year is a common theme, ditto entering x-number of Reading Challenges. Entering Goodreads annual reading challenge is another recurring theme. Others are vowing to limit their number of book purchases, or lay waste to their TBR shelves (not before time in some cases; I recently read about a book addicts whose 1300 book TBR shelves were proving a traffic hazard within her house.). Adds a perspective to my own modest TBR shelf. Others are determined to write book reviews of every book they read; good luck with that one, is all I can say! But: each to their own. Another blogger asked: when did reading become a competitive sport? Good question! I shall continue to meander peacefully amongst the Backlists, with a very occasional foray into Booker Short List territory. One cannot keep up with the Latest, Hottest, Raveworthy new novels. It’s a physical impossibility. 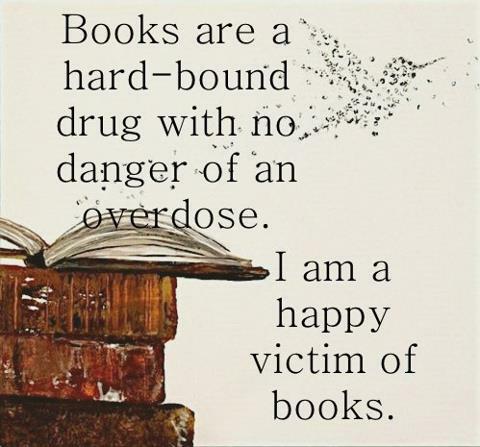 I read for pleasure, and always have done. If I’m looking for information, I hop on-line, and hey presto! Thank you Wikipedia or Google. But I am prepared to publicly reveal that I will briskly abandon boring books. My time and my eyesight are too precious to waste. More than this – no, that’s between me and my Reading Diary, in which I record my bookish thoughts and stats. When the spirit moves me, that is. My motto for 2019 is: Relax! Read and enjoy!